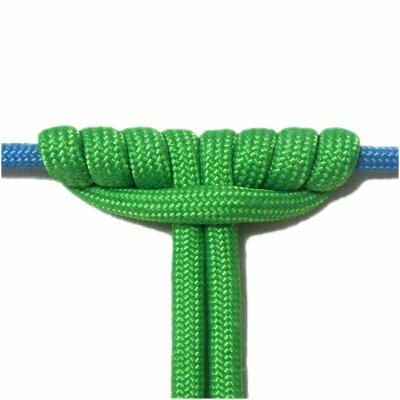 Description: The Prusik Knot is primarily used in climbing, but it can be used for Macrame as a decorative knot. It's sometimes called the Triple Sliding Hitch. It's similar to other hitches, but is wider and has several loops. It needs to be tied to a holding cord, dowel, or other item that's rectangular. You can attach it to a round ring if you use very flexible material. 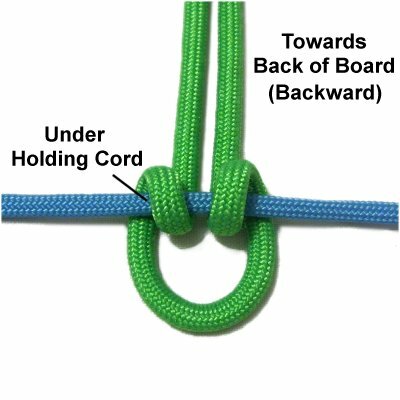 This is a great mounting knot when you need to use as few cords as possible, but want to cover a large area of the dowel or holding cord. To practice, you need one working cord at least 36 inches long. You also need a holding cord or dowel. 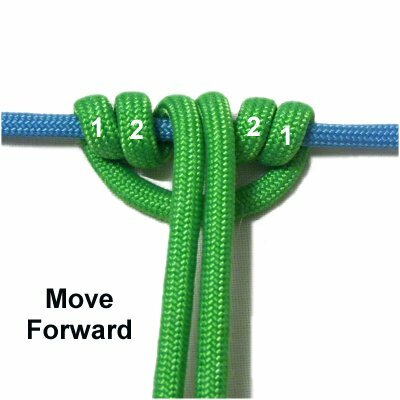 When using this knot in a Macrame project, add 6 inches to whatever cord length the pattern requires. Step 1: Secure the holding cord to your board so it's horizontal. Make sure it is stretched, so it has tension. 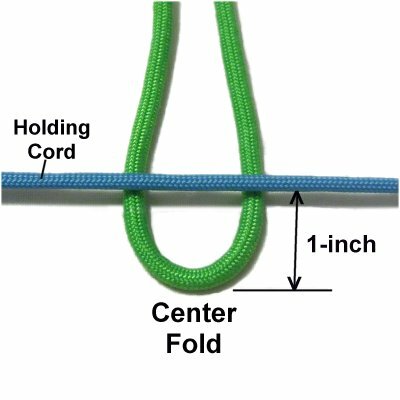 Fold the working cord in half and slide it under the holding cord. The center fold should be close to you, with the ends heading towards the back of your board. The center area should be no more than 1-inch from the holding cord. 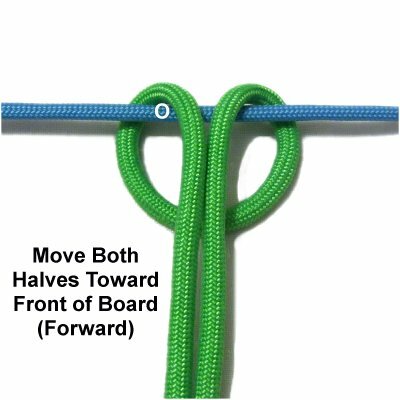 Step 2: Move both halves of the working cord towards the front of the board (forward) so they pass over the holding cord. Forward = Towards the front of the board, which is closest to you. Backward = Towards the back of the board. Step 3: Wrap both halves under the holding cord, then move them backward. Step 4: To start the second set of loops, move the two halves of the cord forward again, over the holding cord. They should fit between the first pair of loops. 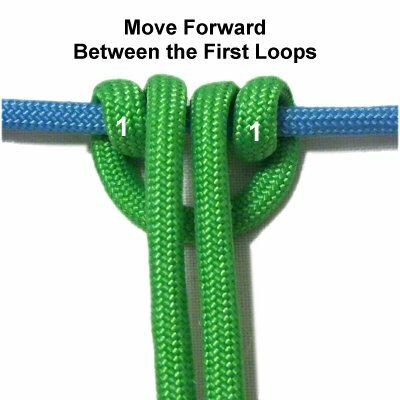 Step 5: Complete the second set of loops by moving the two halves backward, after passing them under the holding cord. Step 6: To start the third set of loops, move both halves of the working cord forward, passing over the holding cord. Fit them between the other loops. 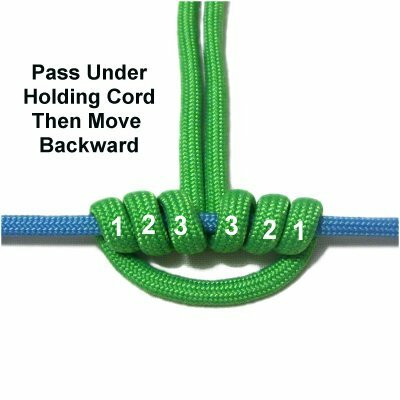 Step 7: Complete the first set of loops by passing the two halves under the holding cord, then moving them backward. Spread the loops to the sides one more time. Step 8: Move the cords forward over the holding cord, between the third set of loops. Pass them under the center fold of the working cord. 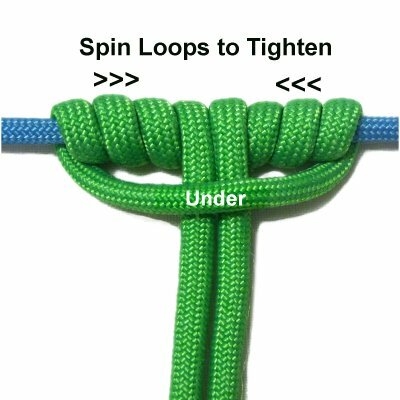 To tighten the Prusik Knot, spin the loops to remove the slack. Work from the outside moving inward, in the order the loops were made. 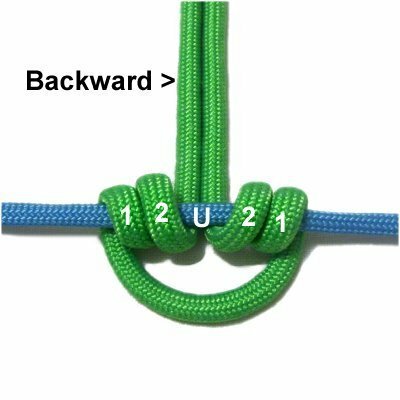 Have any comments about the Prusik Knot? Contact Me.